Last month, we caught up with one of SmartStart’s Top 5, Spare Team, and got the opportunity to learn more about their very own SmartStart journey. This time, we at Geeks at Cambodia got an awesome chance to chat with the GoSoccer Team and hear them share about how their unique journey has been thus far. GoSoccer is a one-stop application that soccer players can utilise to book soccer fields and using an online platform. This is a more convenient alternative to the traditional method of booking fields, which is booking through phone calls. Furthermore, this platform helps field owners efficiently manage and keep track of field bookings just through a singular application. 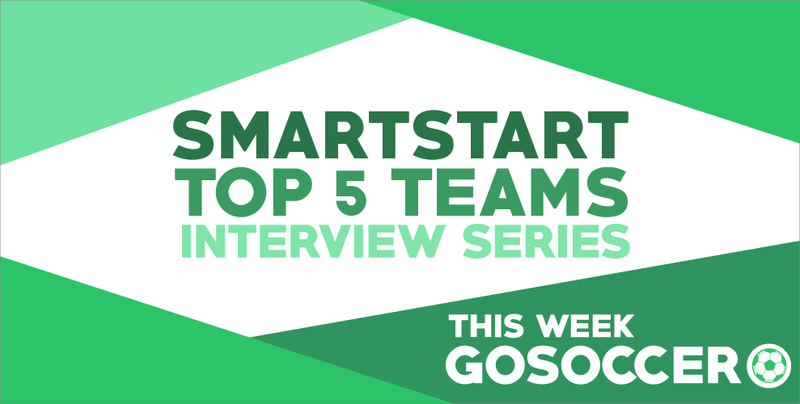 During this interview, the GoSoccer team shared with us about their journey as a team, entering the incubation phase, the challenges they’ve faced thus far and how they feel about being amongst the top 5 winners of the SmartStart Young Innovator Programme. GoSoccer (GS): Actually, it first started out as a school project using Dreamweaver in Sophomore Year and stemmed from our own experiences and observations. We realised that if people wanted to play football, they usually found it difficult to contact field owners or even find friends who are free to play. Also, if they wanted to find out more information about the field and compare prices, they have to go to each of the fields physically, one by one, just to decide. For field owners, we realised that they write everything down on paper and do not have a proper system to track the field booking schedules. So, we eventually came up with this idea for an online platform that can let players book fields, be matched with others who want to play and find out various information about the fields they are interested in; while field owners can have a proper management system to control field bookings. GS: Currently, I can say that our service is the first in Cambodia as it is extremely different from the traditional way of booking fields. Furthermore, it also helps people to communicate and build a soccer community. Thus, this helps us to make our first step into the bigger sports community. GS: The whole experience has been almost unbelievable! We’ll start from the Hackathon. Before that, we already had the idea but we had no specific things to do in order to make it a reality and actually implement our idea. However, through the Hackathon, we started to learn the tools needed and even gained some inspiration. During first pitching, we also got to see many great ideas from other teams, so we were a little curious to see whether we’d get through this round. We eventually passed the first round and we headed to Battambang for Entrepreneur Camp. We learnt a lot from that week, from inspiration to better techniques to even meeting some of our potential customers. We actually went to one of the high schools nearby and asked for feedback from students who play soccer and two of our members actually went down to the fields just for feedback from field owners. We tried our best to gather all the relevant information and based on our skills and what we have learnt, we went ahead with the final pitch and we actually got it! It’s really so unbelievable! GS: For the tech side, we are working on our GoSoccer website, widening our database and improving the frontend of our platform. We are also planning to launch our BETA version this month. To further explain, we have two separate platforms, specified for both of our target audiences. For soccer players, we have the mobile application for both iOS and Android phones. For field owners, they utilise the website to control the field bookings. How is the incubator phase different from the first few phases and what challenges have you faced from this? GS: It’s different in a sense that this is the part where we make our ideas more realistic. In the Hackathon, we just had to present our idea to show the judges that how our idea can work and just demonstrate how our app looks like and define its features. Whereas, for incubation, we have to make it real and prove that it works in the market and in the real world. GS: At first, we just thought of the creative side instead of including the business side as well. We focused on the cool features we wanted, such as a weather forecast widget, but we did not know what goes behind it. After Hackathon, we started to take our plans into action and we realised how difficult it was. For example, when we were figuring out how field owners ran their booking system, it was really very complicated because everything was so flexible– each side of the field had different booking timings for every day and different prices as well. It made things very difficult on the backend side. I understand that your team is comprised of University students, so how are you planning to cope from here on out? GS: The period after our final pitching was actually our vacation, so we were able to work on GoSoccer full time since we did not have classes. Now, we are actually starting classes, so we are planning to work on the weekends to make up for this and anyway, our Saturdays and Sundays are completely free. GS: SmartStart is a really big thing for us. We learnt that you should always have a concrete plan when you want to implement something, especially for a real business. We also learnt to never make assumptions. In the Hackathon and Entrepreneur camp, we learnt that you cannot just assume that ideas will work without any sort of market validation or going down to the fields for actual feedback. Furthermore, we learnt how to manage our project and time overall, on top of our other commitments like school and volunteering. GS: For now, our resources are limited– not just about the funds, but because we are students, we don’t have any revenue yet or the means to hire professional workers. So since we do everything by ourselves and though we have many ideas, we are unable to implement them. However, for the plans for next month, we want to expand into our GoSports series. Basically GoSoccer is under a bigger platform called GoSports. 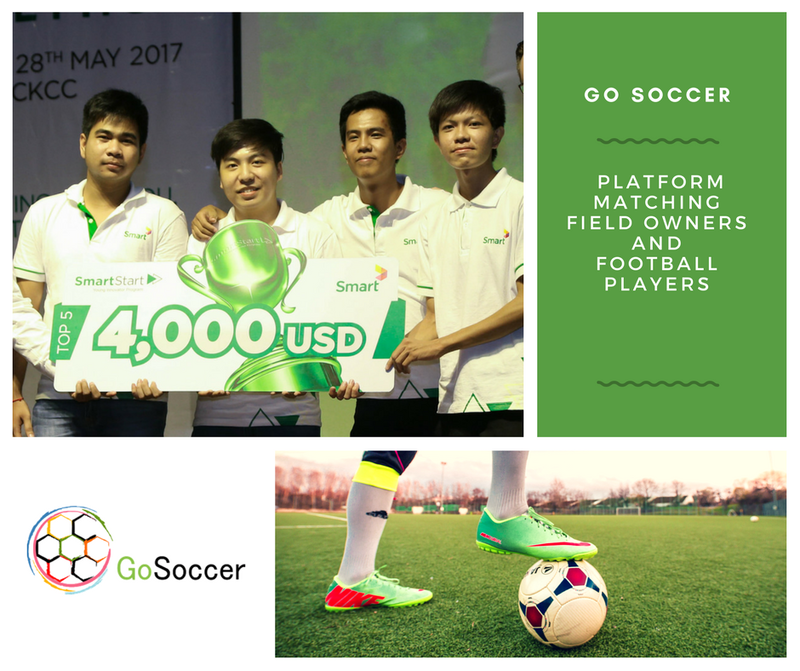 GoSports will cover many different kinds of sports platforms that will offer the same kind of sports information, opponent matching and booking systems; so as to connect the sports community in Cambodia. Eventually, we want to expand the database to not solely Phnom Penh, but nationwide too; and even offer a sports store feature on our platforms for advertising and for people to buy things. Also, we haven’t launched this feature yet, but in the next version, we plan to add a feature that matches opponents; especially for those who find it difficult to find people to play with. GS: You don’t have to wait for the right moment to start, you do need some preparation before starting but just start! Put yourself out there to see the real world, talk to people and get new ideas so you can improve on what you already have. For us, we thought that just because we are students, we won’t be able to do it but after we won SmartStart and got the proper mentoring, we were able to do it; so anything is possible! There is no such thing as failure, every competition is a lesson. Most importantly, the new generation should really learn how to keep up with and adapt to new technologies because everything is changing so fast, our innovations are changing so fast. They say that in 1.5 years, technology innovations will be twice as fast; so that means we have to keep up as fast as possible with the future. Overall, we also want to thank Smart for this great opportunity too! From the interview itself, the GoSoccer Team’s passion, enthusiasm and drive was displayed so candidly and it is extremely apparent that more good things are to come for them as they continue scaling up and improving their business idea for the Kingdom’s sports community. For more information on GoSoccer or to engage in their services, you can visit their Facebook page here or website here. If you want to keep up with GoSoccer and the rest of the SmartStart teams throughout their incubation journey too, follow Impact Hub’s Facebook page to get more updates or check out the Smart for Cambodia Facebook Page. Also, don’t forget to stay tuned on Geeks in Cambodia because there will be two more exciting SmartStart Interviews to come!